The origins of the Republican Party of the United States can be traced back to a meeting of anti-slavery activists in Ripon, Wisconsin in 1854. An official party convention was held a few months after in Jackson, Michigan. Roughly ten years later, the first apparent connection between elephants and the party appeared in a newspaper campaigning for the re-election of President Abraham Lincoln in the midst of the American Civil War. During that time period, 'elephant' could be used as popular slang for combat. It wouldn't be until the 1870s that the association became widespread. Thomas Nast, an artist for Harper's Weekly and a Republican supporter, began using elephants to symbolize the 'Republican Vote' in some of his cartoons. Nast also used various other animals as symbols of the party, but it was the elephant affiliation that would become famous. In certain states, an eagle has been used as a symbol for Republicans. The Democratic Party of the U.S. began with the Democratic-Republican Party that was founded in the 18th century. Its association with donkeys began with a derogatory spin on the last name of future President Andrew Jackson by his opponents during the 1828 campaign. Jackson and allies of his actually took a liking to the name and made efforts to use the symbolism to their advantage. 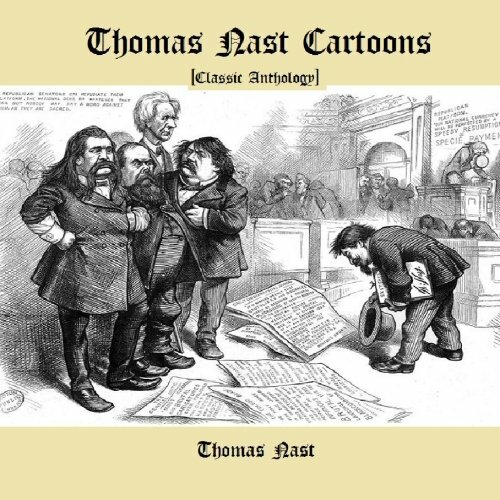 Like the Republicans and elephants, it was Thomas Nast that solidified the connection between donkeys and Democrats during the 1870s. Also similarly, the donkey wasn't the only animal that Nast used to portray the Democratic Party, but it apparently left the biggest impression. The rooster has also been the used as a mascot of the party. Created in Colorado in 1971, the Libertarian Party in the United States held its first official party convention there in the following year. A porcupine was eventually chosen to represent the party, reportedly because it is a small animal that is peaceful, but can aggressively defend itself. Some state chapters of the party use the penguin as a mascot. In the past, the Missouri chapter used a mule to symbolize the party. The Missouri Mule is the State Animal there. The Prohibition Party was created in 1869. Its primary platform is its opposition to the selling or consuming of alcoholic beverages. Once again, this party's association with its mascot began with artwork from Thomas Nast. Nast seems to have chosen the camel because of its reputation of not drinking fluids very often. Originally, a dromedary camel (a camel with one hump) was used, but the Prohibitionists would later change the symbol to a Bactrian camel (a camel with two humps). The original Whig Party in America used the owl as a symbol because of the association of owls with wisdom. That party dissolved in the 1850s with most of its supporters joining the Republican Party. In the 21st century, the Modern Whig Party was formed on a platform of centrist and grassroots ideals. The Modern Whig Party also decided that the owl would be a fitting mascot. Formed in 1992 and previously affiliated with the Reform Party of the United States of America and later the Independence Party of America, the party would eventually become unaffiliated with any national party and focus solely on Minnesota. The bison was chosen as its mascot in a 2004 vote over other options that had included the eagle and the white buffalo. 'Indy' would be selected as the mascot's name. In 1912, former President Theodore Roosevelt made an attempt at returning for what was then an unprecedented third term. After failing to win the Republican nomination, he formed the Progressive Party. During the campaign, a man began following Roosevelt around the country, culminating in the horrible act of an assassination attempt. Very soon after the incident, Roosevelt compared himself to a bull moose to large crowd in Milwaukee, Wisconsin and the animal would later become an emblem of the party. Theodore Roosevelt lost the election and later returned to the Republican Party, as did many other Progressives, leading the party to disband. Other parties with the same name would later follow. Amie Jane Leavitt A History of the Republican Party. Hockessin, Delaware: Mitchell Lane Publishers, 2013.